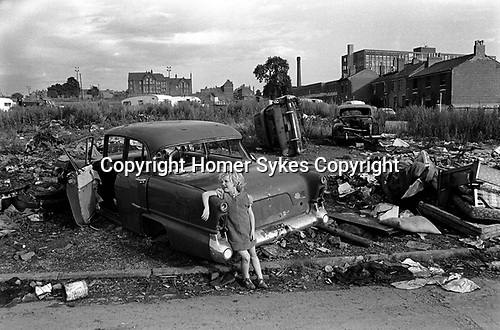 A Tinkers encampment and temporary scrap car dump on waste ground in Balsall Heath, an inner city slum and red light area. These photographs were taken on waste ground bordered to the south by Eyton Croft, or and Upper Highgate Street. Emily Street, Stanhope Street and Conybere St. At the time the area was a slum, with houses in very bad disrepair. The area was 90% caucasian, and was a red light area. All extremely improvised.